One late afternoon, when I arrived home, I noticed something lying in our driveway. It was not the fallen autumn leaves that needed to be swept, that caught my attention, but something more strange. My son was actually the first one to see it and pointed it out to me. As we looked at it closely we have concluded that it was a robin. It also looked healthy and well nourished, so we wondered what caused its demise. Its feathers did not look ruffled so it was unlikely that it was attacked by a predatory bird, like hawk, which abound in our area. Then like detective Sherlock Holmes and his friend Dr. Watson, we looked at the evidences available to us and formulated a theory of what caused the poor bird’s death. We could have done an autopsy but there was no need for that. We looked at the dead bird’s body location and its relation to the other surrounding structures. The hard driveway pavement. The soft grass lawn. The nearby garage. Our big oak tree. And the fiberglass basketball goal. The bird was lying right underneath the basketball goal. And there was some smudge in the fiberglass. 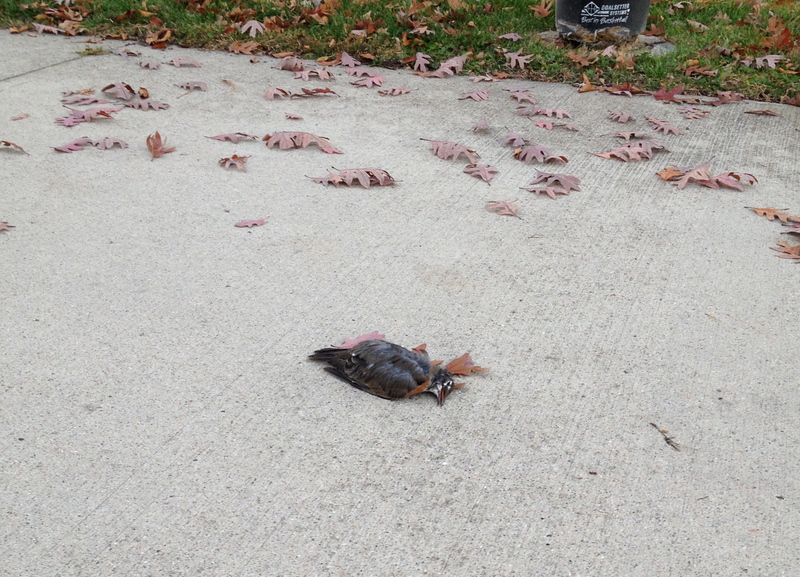 Here is our conclusion: it was a clear sunny day; the robin was flying spiritedly heading to our oak tree; the bird mistakenly looked through the clear fiberglass and flew directly into it; the robin fell to the hard pavement and died. That, or Dwight Howard swatted it down from its flight. We know that skyscrapers have caused several birds to crashed to their death when they fly smack into the glass windows. The wind turbines that we erected to generate energy has caused many winged wild life deaths as well. On the reverse side, there are several reported airplane accidents, especially small aircrafts, crashing down when they hit a flock of birds. I suppose that still is unfortunate on the part of the birds. 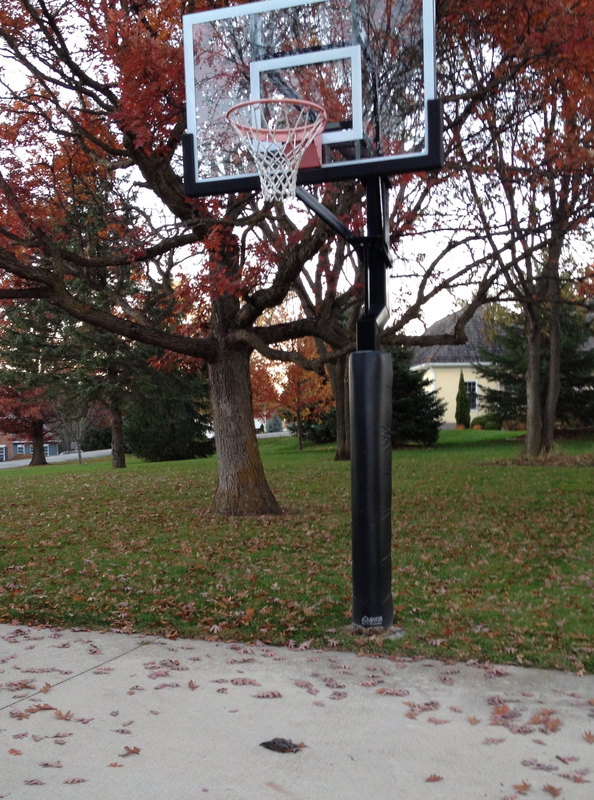 I like my basketball goal though. I am not going to take it down. It has given me and my son so many hours of fun playing on it. But to this poor creature, it caused its death. Life can be cruel at times, I guess. 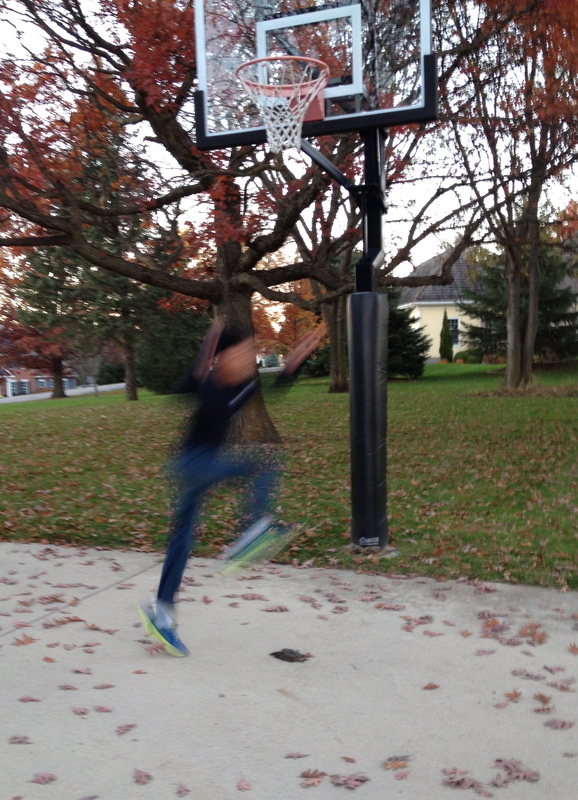 In basketball, there is a term “crash the board,” which means to get the rebound, or the act of rebounding the ball. This little birdie gave that term a whole new meaning. I will remember and will pay respect to this poor soul, every time I play and crash the board.